What time does Sony PlayStation's State of Play livestream start? Where can you watch the PlayStation Direct-esque broadcast? And what games will be shown during the inaugural event? We’re about to embark on a new era for PlayStation announcements, so you’ll no doubt want to ensure that you’re perched in front of your computer ahead of the organisation’s all-new stream. Here’s everything you need to know to ensure that you’re in the right place at the right time. What Time Does Sony PlayStation’s State of Play Livestream Start? Where Can You Watch Sony PlayStation’s State of Play Livestream? 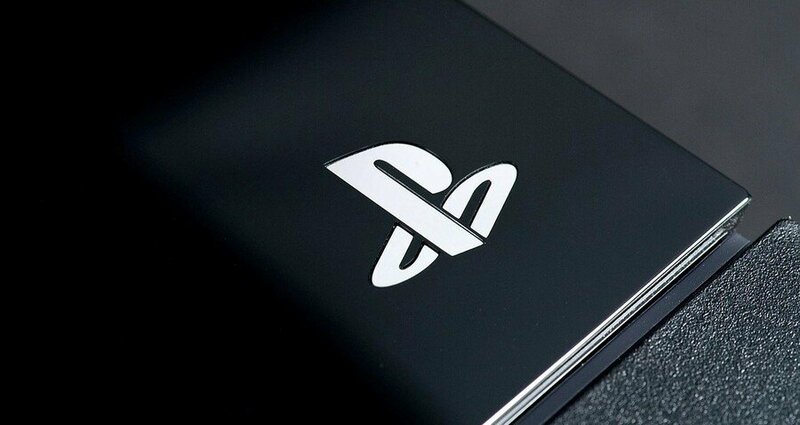 What New Games Will Be Shown During Sony PlayStation’s State of Play Livestream? Sony will be streaming its State of Play livestream on YouTube and Twitch, but you’ll find a full embed of the video with live chat and live blogging right here on Push Square. You can find a full list of what PS4 announcements to expect during Sony’s State of Play livestream through the link, but to summarise we reckon that the platform holder’s going to point its spotlight at MLB The Show 19 and Days Gone, while also taking time to detail oft-overlooked titles like Blood & Truth and Concrete Genie. Will you be joining us for Sony’s State of Play livestream? Are you looking forward to the broadcast? Try not to set your expectations too high in the comments section below. Most likely I'll be on the road with my Godchildren when the first State of Play is live, but I'll watch the replay afterwards when I get home. I'll actually be able to catch one of these live-streams live from the comfort of my own home for once. I'll be here for sure! It's not while I'm working, so if I can remember, I'll watch. Just glad to hear anything from PlayStation. I keep forgetting about Concrete Genie but this vid for RAD I saw Wednesday during the Nindie Direct reminded me of it w/ it's "bringing color to the darkness theme". Also looked like a cross between Sunset Overdrive and Jak and Daxter Precursor Legacy. Cool, and it's at a decent hour (GMT) for once. Looking forward to seeing more of Days Gone. 9pm is a good time for me. It means I can watch it live at home as I won't be stuck at work then. I’ll be there; I mean here! Monday, really, PlayStation? Why not a Sunday? Well, I'll try to watch it on the road back home from work. Please announce bluepoints' Syphon Filter remake. Or studio purchase. 4 PM here. Boy, I may be able to catch this live stream. I'm hoping for Dream's Early Access to get a concrete release date. There's supposedly an as-yet-unannounced PS4 exclusive isn't there? Probably a good time to announce that. Has there been any indication of how long this will run for? 60 minutes? 90? 120? @Paranoimia 3 hours of Cerny reading the PS5 manual! @Paranoimia most likely the game from bluepoint. But the timing! I hope it's available as a VoD somewhere RIGHT after - I want to watch with no "spoilers", since they have these things right when most of us are working!! @Octane Still more entertaining than a Ubisoft Just Dance announcement! @Derpie1 Yeah, that's unfortunate... It would be easier to watch. But then there wasn't much for me in this particular State of Play thing, at least. I'm not interested in VR yet (and the price is too high). I do wish that corporations do more events in weekend, though. @RenanKJ Glad to hear that's the case! @nookie_egg Dude, this is something I've also been hoping for! A Syphon Filter trilogy remake, a la Crash's and Spyro's. Even if it's not Bluepoint (who I think is working on a Demon Souls remake or MGS remake). But get someone else in that case. They really need to bring those games back. The other series I want a remaster of is The Getaway. In that case just a remaster will do. Been dying to replay these games too, in HD. @DreamerAbe86 I DEFINITELY think that SF would hold up by todays' standards given a fresh coat of paint and a new control scheme (have the first 3 on vita, the controls are not good...). And with MGS now being dead, there is a huge gap in the market. I want to taser someone on the roof until they combust in glorious hd please Never played the getaway so can't comment on that one. @nookie_egg Preach, brotha! Hope Sony hears us!